Check out this new freebie offer from Digitry. 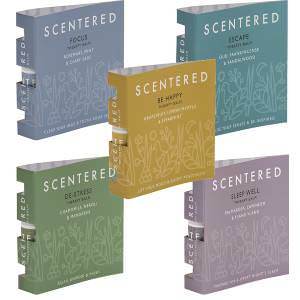 They have 5 packs of Scentered Therapy Balm Scents up for grabs. Like all of the offers hosted by Digitry, you will need to create a free account with them to gain access. Once you have done this and are logged in, you can head over to their sample page and check out all the freebies they have, including the 5 pack of scented Balm Scents. As usual, you can expect this sample to arrive within 4-8 weeks, if not longer. The sample will last as long as the supplies do. If you like this freebie, check out another new one from Digitry for 5 free scented candles. Visit their sample page right here. Then create an account to gain access to any of the freebies you like.